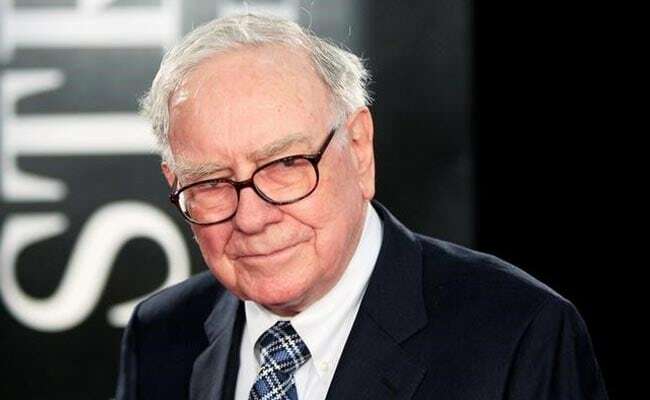 In his much-anticipated annual letter to shareholders, Warren Buffett explained that the company's net gain of $65.3 billion in 2017 was only partly due to his employees' efforts. New York: Berkshire Hathaway, the holding company of US billionaire investor Warren Buffett, received a stunning $29 billion check last year from the US government, thanks to a new tax law that massively lowered corporate tax rates. The new law lowered the tax rate paid by US companies from 35 percent to 21 percent, allowing many to undertake major new outlays and others to book significant fiscal gains. Berkshire Hathaway owns shares in more than a dozen large corporations in diverse sectors of the US economy, including American Express, Apple, Bank of America, Charter Communications, Coca-Cola, Delta Air Lines, General Motors, Goldman Sachs, Moody's, Wells Fargo and Southwest Airlines. Its net earnings rose from $24.07 billion in 2016 to $44.94 billion as of December 31. The company also saw its war chest swell: it had $116 billion in cash and US Treasury bills as of the end of 2017, a financial manna that Buffett wants to use to make significant new acquisitions. Buffett said he believes that "despite our recent drought of acquisitions," the company "will have opportunities to make very large purchases" going forward. But he said the prices asked for businesses last year "hit an all-time high," and Berkshire will be looking for those available at "a sensible purchase price."